It’s that time of the year again when travel enthusiasts and service providers meet in Berlin for the ITB. Kama kawaida, Kenya is on board with a huge delegation of all our best hotels, resorts and even counties. However, this year is quite special, not only is it the cabinet secretary for Tourism, Phyllis Kandie’s first appearance at the ITB since her appointment, but we also brought along a renowned Kenyan musician to showcase, Emmy Kosgei. While Kenya has always marketed itself with the big five and the beaches along the coastal region, Kandie said the new strategy for tourism is to expand and diversify the tourism products. This is seen by the unveiling of the Turkana boy monument this month in Kenya. 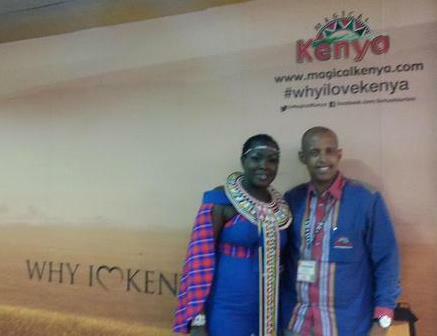 Kenyan musician, Emmy Kosgei, and Mohammed Hersi, CEO of Heritage Hotels. The fossil of the Turkana Boy that dates back to 1.6 million years has proven that this are the oldest remains of man in the world thereby making Turkana archeologically the origin of man. “I want to encourage the counties to map out their various products within the circuits they fall under, so that as a country we have diversified products to offer to both local and international tourists,” says Kandie. Responding to the general feeling of insecurity being a scare for tourists from visiting Kenya, Kandie said safety was relative the world over. She said despite the fact that terrorism was a global war, Kenya was determined to secure its borders. “We have put measures in place including recruiting more into the forces and also increasing the budgetary allocation for security,” said Kandie. She said the situation and problems for Kenya are temporary and that things will look up very soon. She also noted that Kenya is slowly emerging very strong especially by mapping out an African market for its products. The ITB is an annual trade fair that takes place in Berlin and was first held in 1966. 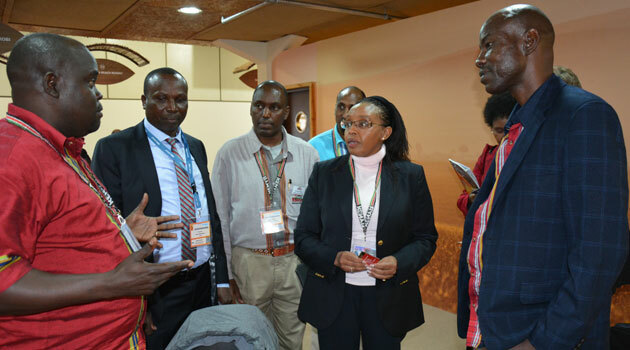 Kenya has been a loyal participant and has even won several awards for their creative stands. Last year, the Kenyan stand came second to Rwanda and we hope this year they pick the highest price.